Rodeo RZ comes to Indian market aiming both men and women. 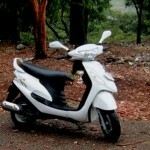 Another Plus point of Mahindra Rodeo RZ is that you can buy a 125cc scooter in the price 110cc scooter available in the market. Mahindra Two wheelers, the newcomer to two wheeler market in India is coming up with the all new Mahindra Rodeo RZ. Mahindra Two wheelers which is a part of Mahindra Group hopes to take the Indian two wheeler market with its Mahindra Rodeo RZ. 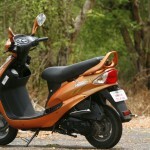 Rodeo Rz, the 125cc scooter is a trendy and youthful scooter which targets both him and her. It is technically more powerful than its predecessor. Rodeo Rz is powered with advanced Z-Series engine. 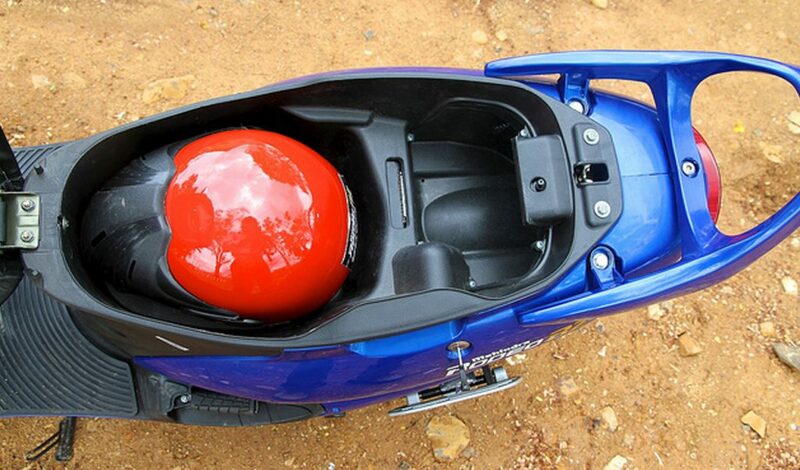 And it features telescopic suspension, high ground clearance and under seat storage space of about 22 Litres. 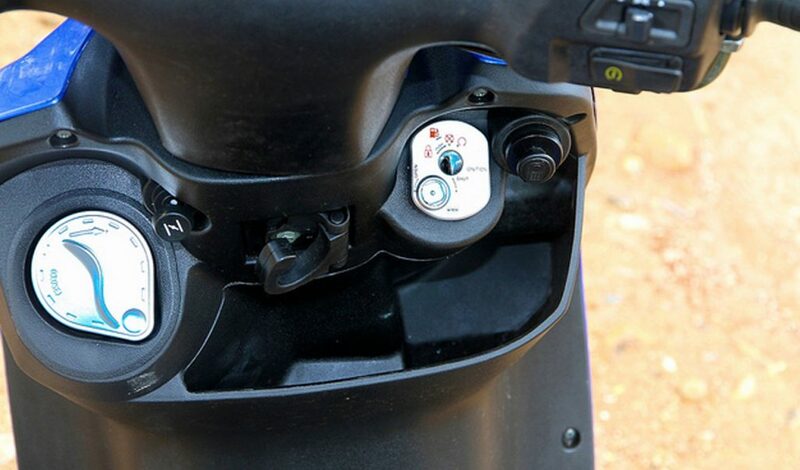 There is a small light at the boot which will turn on when you open the seat and this helps you at night to see the things you have kept in the under seat storage space. Its Transmission is fully automatic. 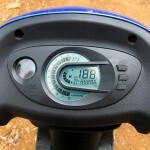 With its new Dual Curve Digital Ignition System (DCDI), the company claims a superlative mileage of 59.38 kmpl. 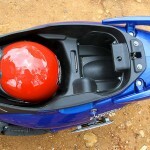 The fuel tank capacity is 4.5 litre. Rodeo RZ will produce peak power of 8.05BHP at 7000RPM and 9Nm peak torque at 5500RPM. The main difference of Rodeo RZ from Rodeo is that, Mahindra has increased the ground clearance of Rodeo RZ to 154mm. So, now you don’t have to worry about the bad road conditions. And it is coming with 130mm drum brakes in front and rear. MRF tyres are used in RZ. 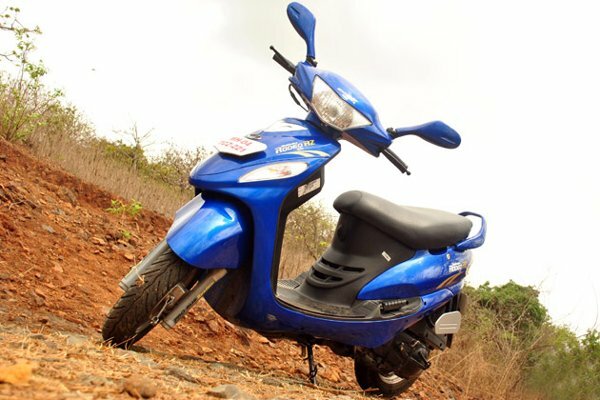 How Mahindra Rodeo RZ differs from other scooters? 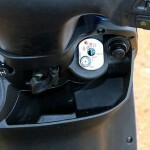 Mahindra Rodeo RZ got some unique and awesome features that no other scooters available in India can demand. 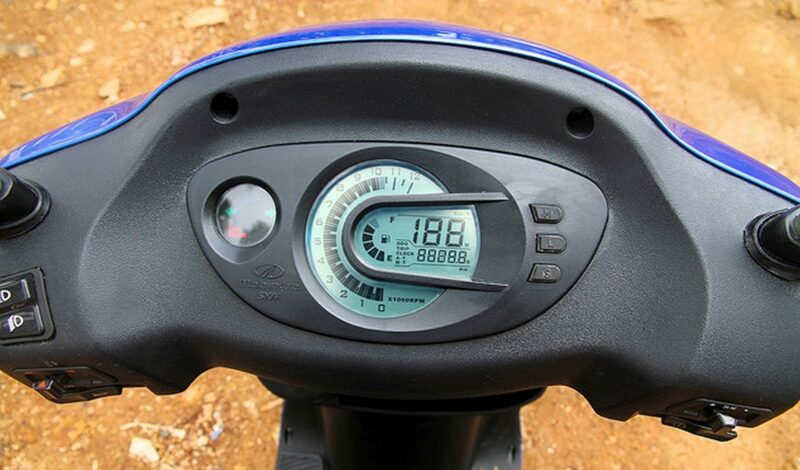 It is the only scooter in India with a stylish and Advanced Digital Dashboard with Tachometer, Tripmeter, Acceleration timer, Odometer, Speedometer, Over speed alarm, Fuel gauge, Clock and a Side stand buzzer. 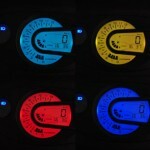 The digital dashboard is colour-customisable and it is provided with a stylish 7 colour interchangeable backlit panel. This futuristic scooter is coming up with a 12v MP3/iPod/Mobile phone charger and a 4 in 1 Anti-Theft key too. 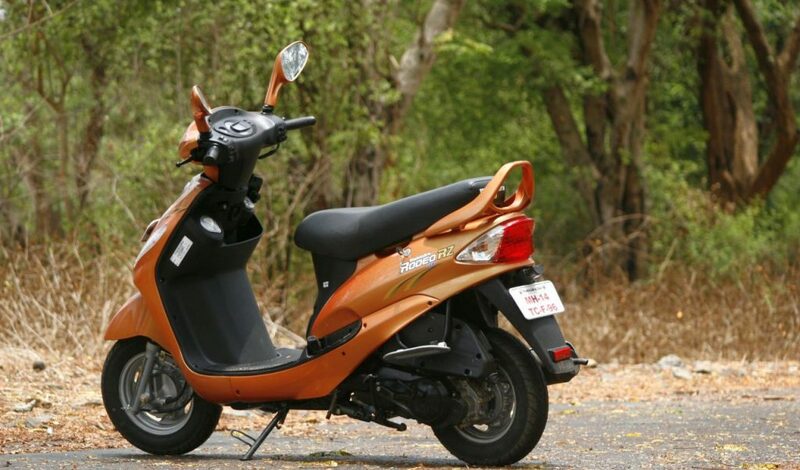 This peppy scooter is available in 7 cool colours including trendy ones like Mystique Violet, Electric Green and Flame Orange. 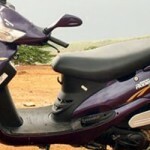 Rodeo RZ comes to Indian market aiming both men and women. 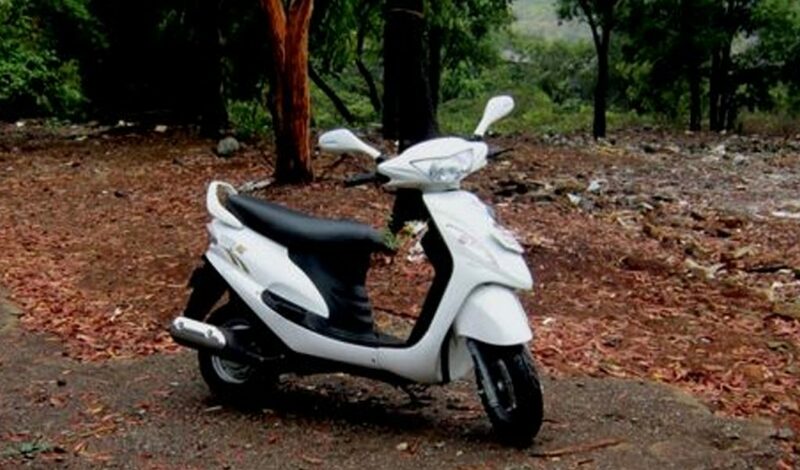 Another Plus point of Mahindra Rodeo RZ is that you can buy a 125cc scooter in the price 110cc scooter available in the market. If you are looking for a powerful yet fuel efficient scooter for urban transportation then Rodeo RZ is for you! 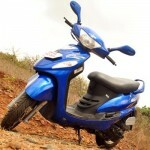 The ex- showroom prices are: Andhra Pradesh – Rs.49,575 , Kerala – Rs 49,410, Tamil Nadu – Rs. 50,710 and Karnataka – Rs. 48,930 respectively.